Elkmont Campground is arguably one of the most scenic spots in the Great Smoky Mountains National Park. Additionally, this area is home to a big concentration of historic structures in the national park, so it’s the perfect way to explore this area's colorful past as a logging camp and a resort community. To fully experience the beauty of the Elkmont area, we've made this guide with the 4 best hiking trails in Elkmont in the Smoky Mountains! The Little River Trail is a nice easy hike that climbs steadily into the mountains. This route follows an old logging road, so the hiking on this trail is not too demanding and the grade is gentle. 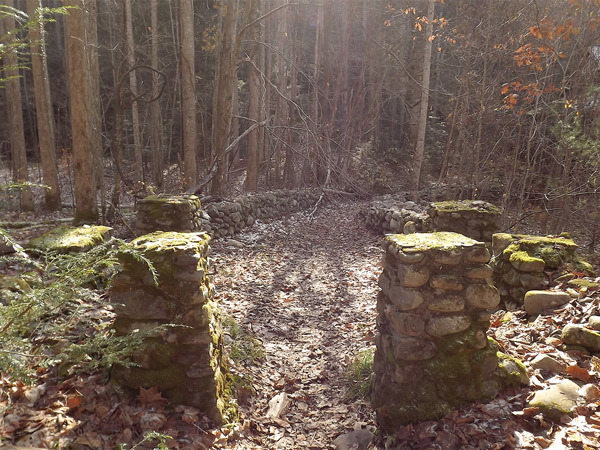 Along the way, this trail allows you to explore Millionaires Row, a collection of old homes that were once part of The Appalachian Club, a wealthy resort community that predated the formation of the Great Smoky Mountains National Park. After the park was established in 1934, many of the residents of these homes were allowed to stay on the property with a lifetime lease. However, many of these structures are now in disrepair and slated for demolition. Luckily, the park service has plans to permanently preserve a few of these old homes. This trail follows along a scenic stretch of the Little River and there are several spots that are ideal for swimming or relaxing by the riverside. River otters were reintroduced to the Little River in the 1990s, so if you're lucky you may spot one! At 2.2 miles in, you'll see Huskey Branch Falls, a 20-foot cascade that tumbles into the Little River. The typical turn-around point for this hike is the Cucumber Gap Trail Junction at 2.5 miles in, so you can see most of this trail with only 5 miles of hiking. The entire Little River Trail is 6.1 miles long and extends to backcountry campsite #30. Along the way, you can connect to Huskey Gap Trail, Goshen Prong, or Rough Creek Trail, but these routes are mostly used by fisherman and backcountry campers. These hikes are not as remarkable, but they are perfect if you want peace and seclusion! Most of the historic structures in Elkmont are located close to the campground, but the Avent Cabin is located a short distance up further in the mountains. To get to Avent Cabin, start hiking on the Jakes Creek Trail that begins near the Society Hill area of Elkmont's old resort community, another collection of large, old homes in Elkmont. After. 0.3 miles, you'll reach the junction with Cucumber Gap Trail and at 0.4 miles the junction with Meigs Creek Trail, but continue along Jakes Creek trail. At 1.2 miles in, you'll see a small, unmarked trail branch off on the right side of the hike. This trail proceeds across a small log bridge to Avent Cabin. Avent Cabin is an interesting structure that dates from the 1850s, so it's the 2nd oldest cabin in the Elkmont area. 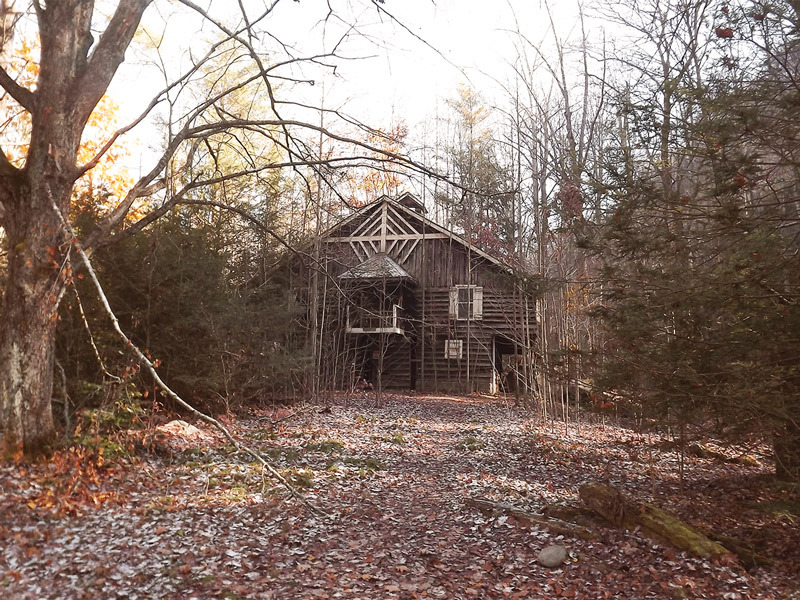 The original residents of this cabin, the Owenbys, sold this cabin to Frank Avent. While this cabin belonged to the Avents, this cabin served as a studio for Mayna Treanor Avent, an artist who used her summers to paint watercolors of the Smoky Mountains in the 1930s and 1940s. The lovely Avent cabin is a fitting destination for this lovely hike in the Elkmont area. A nice way to sample some of the best hikes in Elkmont is to take the Cucumber Gap Trail Loop. This loop trail combines the Little River Trail, Cucumber Gap Trail, and Jakes Creek Trail to make a nice loop. Some highlights of this hike are Millionaires Row, Huskey Branch Falls, and Society Hill. Additionally, the Cucumber Branch section of this hike is remarkably peaceful and it's a good place to spot wildflowers in the spring. For this loop hike, simply hike the little river trail for 2.5 miles and take a right onto the Cucumber Gap Trail. From here, hike another 2.3 miles until Cucumber Cap makes a junction with Jakes Creek Trail. Take a right onto Jakes Creek and continue hiking the remaining 0.3 miles back to Elkmont Campground. This moderately difficult hike is an excellent way to spend your day and it's perfect for exploring most of the Elkmont area. 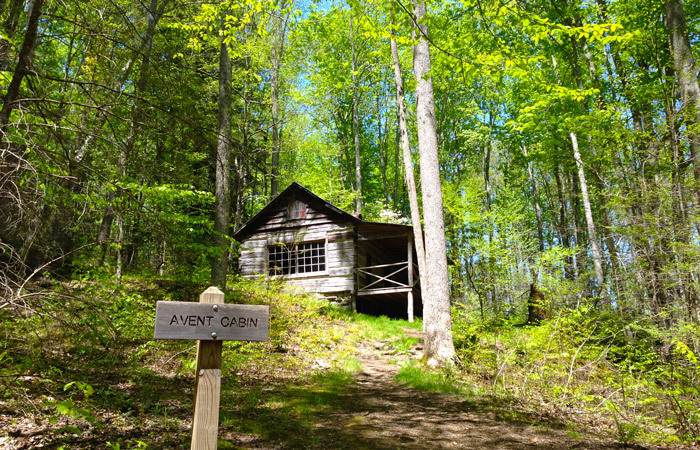 For a slightly longer hike, you can tack on a short trip to see the Avent cabin ask well. 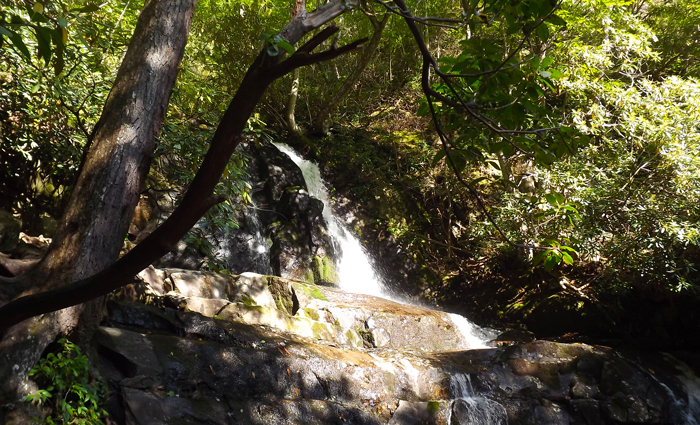 Though the Laurel Falls Trail does not technically begin in Elkmont Campground, the trailhead for this popular hike is located a short drive away. This short, beginner-friendly hike takes visitors to one of the most visited waterfalls in the national park: Laurel Falls. This 80-ft multi-tiered waterfall creates a lovely cascade that's quite picturesque. Additionally, the rest of this hike is scenic and offers some views of nearby mountains in the national park. The trail itself is named for the abundance of mountain laurel that grows along the trailside. Elkmont is an excellent place for camping, hiking, and swimming in the national park! With its rich history and abundance of preserved structures, it's also one of the most interesting areas of the Smoky Mountains to explore. With these excellent hiking trails in the Elkmont area, you can truly experience this popular part of America's most visited national park! 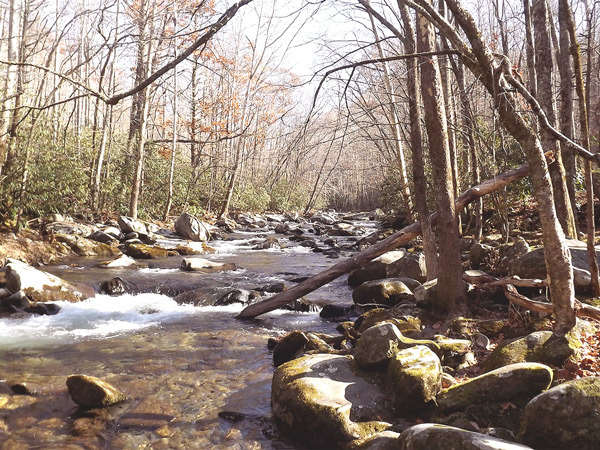 Want to stay close to Elkmont in the Great Smoky Mountains National Park? Check out our cabin rentals in Gatlinburg that keep you only minutes away from this gorgeous area of the Smokies!